CononMark DD400S: the future for portable flash? 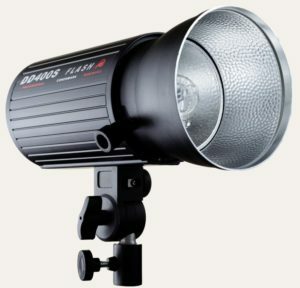 Lighting Rumours reviews the CononMark DD400S, a DC-only flash that takes universal batteries. Is it any good? And is it an example other manufacturers should follow? Update: The CononMark DD400S is now available for sale from some sellers. Recently manufacturers have been lightening the load when it comes to “pure sine wave” portable power. The new Godox Leadpower and Tronix Explorer XTLi are going for smaller, lighter batteries in their packs. But are these really a step in the right direction? New types of batteries will shed inches and pounds in these units but is that the only thing they should be focusing on? In a typical “inverter battery pack” such as a Tronix Explorer, you use alternating current (AC) mains to charge a direct current (DC) battery. This current gets put through a pure sine wave inverter to turn it back into AC, only to power a studio light that transforms the current back into DC again to charge its capacitors. While this might not make a big impression on your electricity bill, the extra components add their fair share of bulk – not ideal if you’re on the move. There is an alternative to the “pure sine wave” route, but unfortunately it’s often neither cheap nor convenient (nor does it help you if you want to take your existing mains-powered lights outdoors). There are many proprietary battery-powered studio lights out there, mostly incompatible with each other and costly when things go wrong. What if you want to use your friend’s Bowens Travelpak with your Multiblitz Profilux Plus? Or your battery’s gone kaput, but there is no dealer in town? Speedlight users can happily interchange their AA batteries between brands, and buy new ones anywhere, while motorists enjoy the benefits of standardised batteries too. Shenzhen-based studio lighting manufacturer CononMark have put forward a novel concept by developing a studio flash that natively takes 12 Volts DC. Shown off earlier this year, the DD400(S) flash can be plugged into a battery pack, your car or an AC/DC adapter. Current is converted from AC to DC just once, negating the need for bulky inverters both in the battery pack and the head itself. What’s more, a standard connection means you can easily replace the pack at an auto supplier. The result is a truly portable studio flash that’s at home in the studio or on location, with the versatility of both a universal voltage AC adapter and a 12V battery you can buy anywhere. These claims are according to the manufacturer product page, found here.